Mike Hamm moved here from Austin, Texas, two years ago. He worked at Lancelotti Housewares and Alphabets on Avenue A. 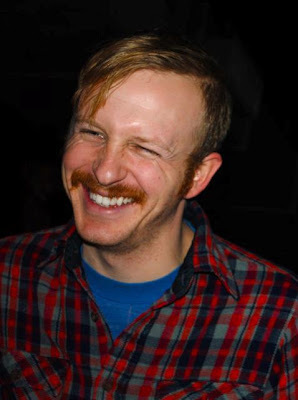 "He loved the East Village — it inspired him," Cara Brininstool told me via email. Mike, like many others, had the dream of moving to New York City and exploring what life had to offer, she said. The two of them moved here together. She said that they were best friends. Mike died on Jan. 7. He was 29. Cara said that he had an undiagnosed condition called arteriovenous malformation that caused a series of brain hemorrhages. He remained in a coma through another hemorrhage and a stroke. Cara said that Mike's family and friends never left his side during the 11-day hospital stay. "We actually got complaints that we were causing a fire hazard because there were so many friends who had gathered in the waiting room," Cara said. "Mike was the kind of person who got excited when the music playing in his headphones synced up with the bustle of the city around him," she said. "Turning a corner or breaching the city's surface from the subway at the climax of the song — things like this thrilled him and made him giddy." 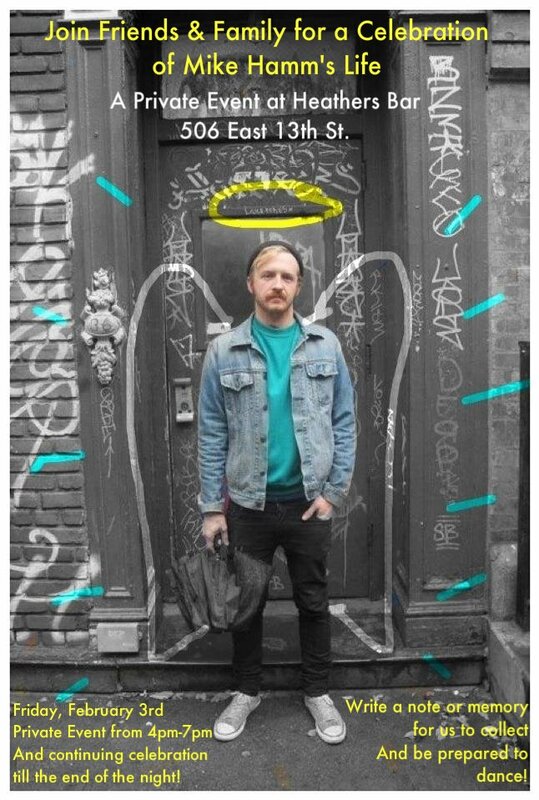 Next Friday, Mike's friends and family are gathering at Heathers on East 13th Street to celebrate his life. As previously noted, the Centre-fuge Public Art Project is dedicated in his memory. What a great smile he had. R.I.P. I always bought my greeting cards at Alphabets. But then I started buying key chains, magnets, toys, just so I could have the smallest interaction with Mike. I thought he was the cutest man in the East Village and at the risk of never being able to shop there again, I was just going to blurt it out to him one day. I wasn't friend or family, but will still miss him and I hope he gets to turn a few more corners in the neighborhood before he's looking down on all of us. This is a great loss. I met Mike several years ago and, even though I only interacted with him for a short period of time, have often thought about him. His bubbly personality and zest for life were contagious and inspiring. His life was short but is truly one worth celebrating. RIP. Even though I never knew you, it is clear that you were dearly loved and will be dearly missed. "any man's death diminishes me, because I am involved in mankind, and therefore never send to know for whom the bells tolls; it tolls for thee." Used to shop at Lancelotti a lot. Mike was always so nice and professional (and always had a great smile on his face). So sorry to learn of his death. May he rest in peace.